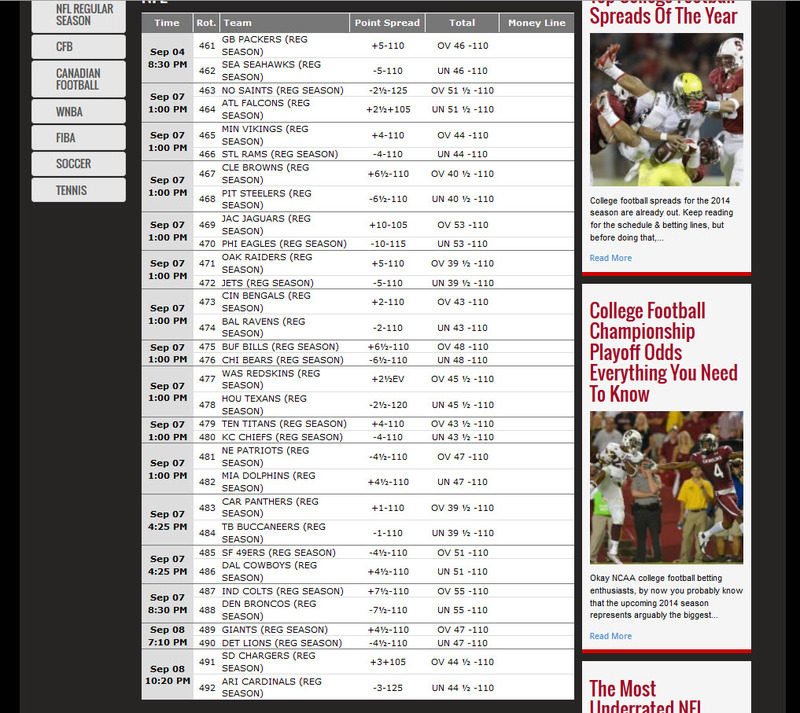 Sportsbook Review's SBR Odds product has officially relaunched. The beta period lasted for two and a half months and saw many new features integrated including favoriting individual games, a one-stop shopping bet card that enables users to keep track of specific games, and an entirely responsive website. New York has joined New Jersey in their pursuit of legal sports betting. State Senator John Bonacic introduced Senate Bill S7900 yesterday, which proposes an amendment to the existing carveout for racebook wagering and allows for legal sports betting at NY casinos and racetracks. However, the bill is contingent on federal law being overturned. Bookmaker.eu (SBR rating A+) rolled out an update earlier today improving its sportsbook interface. The update streamlines the bet making process and allows users to add multiple bets to their betslip while continuing to browse sportsbook markets. Straight bets can easily be converted into parlays, teasers, or if win bets. Sportsbook Review's Natalie Van Rydstrom reports on a recent complaint a racebook bettor shared where a trifecta bet was voided on account of being "past-post" or after the race had started. SBR originally shared the ways to avoid such complaints by making sure to enter your bet ahead of time and not relying on your PC clock. There is more than one way to skin a cat, and more than one way to win by participating in one of the three NCAA Tournament contests registering at SBR Forum. The first contest is — you guessed it — the annual NCAA Bracket contest, which requires all members to submit a complete bracket picking the outcome of each game in advance through the championship. There are three college basketball contests to choose from for March Madness on the SBR Network. Users can submit a bracket in the 100,000 betpoints contest, challenge the SBR Odds Couple head-to-head in the 10K points capping contest, and also battle it out for 15k betpoints in the contest sponsored by Pinnacle (SBR rating A+). SBR Forum has announced the 2017 NCAA Brackets Contest. This year's contest gives away 100,000 betpoints to the top 25. Betpoints can be used to redeem electronics, merchandise, gift cards, and many more items from the SBR Store. Keep reading to learn how to participate and potentially take home the top prize of 25,000 betpoints. Bovada Poker has been acquired by Ignition Casino. Poker players will have to transfer their poker account to the Ignition Casino platform by September 30. Bovada users will continue to have access with their existing accounts to the Bovada sportsbook, casino, and racebook. Bovada management has advised SBR that all players have been notified via email. While the focus of the betting sites rating guide is companies that offer sportsbooks, SBR also lists sportsbooks which offer players the ability to play in the casino or poker room. In an ever competitive industry, bookmakers need to be agile and offer players a wide array of options to enjoy in-between sports bets. CG Technology has been fined $1.5 million for the repeated underpayment of winning round robin parlay bets on more than 20,000 wagering tickets spanning August 2011 to March 2015. Sportsbook Review first reported of CG Technology's plight in May when the Nevada Gaming Control Board (NGCB) announced their findings and filed a complaint against the company. Sportsbook Review's Natalie Rydstrom takes online sports bettors for a tour of the software of popular sports betting website BetDSI. Learn how to place a sports bet, access in-play betting, the casino, and more during this guided tour of the BetDSI website. BetDSI Sportsbook holds an SBR rating of A+. Sportsbook Review has released a video walk-through of popular sports betting website Bookmaker.eu's software. 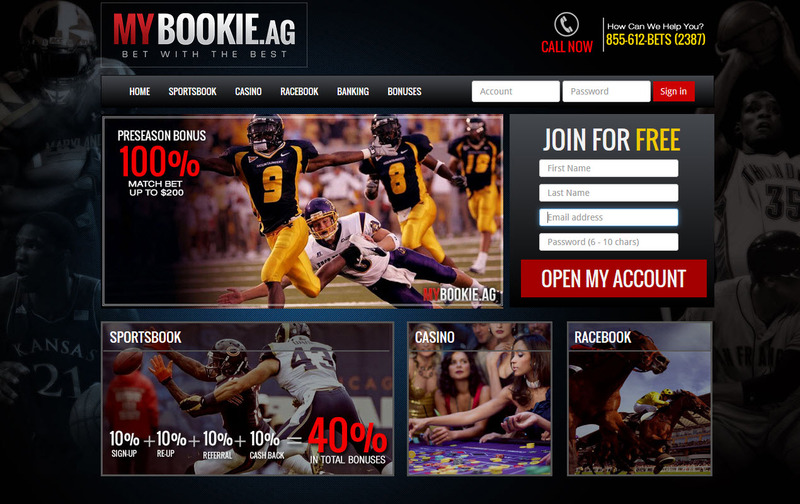 Bookmaker is an A+ rated online sportsbook in the SBR rating guide. The video tour takes players through the Bookmaker website and demonstrates how to place a sports bet, use the casino, live betting, and more. Sportsbook Review has released a 2015 profile of Bookmaker.eu Sportsbook (SBR rating A+), one of the online sports betting industry's oldest and most trusted online sportsbooks. Known as an originator of betting lines and as a sportsbook that caters to both professionals and average Joes alike, Bookmaker.eu is listed on the SBR list of best sportsbooks. Sportsbook Review occasionally receives complaints from players who have time disputes on both tennis betting and racebook betting. Both sports have some things in common: Starting times can be erratic, and wagering timestamps are scrutinized very carefully. This article tells you how to avoid issues betting either sport. PokerStars has received a sports betting license in Ireland, according to a report released earlier today. PokerStars was granted the license by the Irish Revenue Commissioners national regulatory division. PokerStars plans to release 18 sports betting markets for Irish players and will be adding horse betting in the coming months. Update 7/27 7:14PM ET: The AllHorseRacing player has confirmed receiving his payment details earlier this afternoon. A manager responded to SBR's request for comment only stating that the player would be provided the necessary information to collect his $160 payout. This complaint is now considered resolved. AllHorseRacing players in need of assistance should write to help@sportsbookreview.com. An AllHorseRacing Sportsbook (SBR rating D-) player has not been paid a $160 payout requested three months ago. The player has been given zero information from the online sportsbook on the delay for his payout, and has concluded he will not be paid from the blacklisted online sportsbook. SBR has followed up with the sportsbook on his payout issue. A Sportsbook Review posting forum member has pointed out that the e-gaming license held by 1Bet2Bet appears to have been suspended. 1Bet2Bet, which is a sports betting website managed under trading name Cyberdata N.V. and which holds license 8048/JAZ2011-007, is presently showing as suspended on the Curacao gaming license website. A Betfair (SBR rating A-) trader has written to Sportsbook Review with a wagering complaint. The player registered at betting exchange Betfair on June 4 to wager on Louisiana track, race 1. Three minutes prior to post time, he states that Betfair removed a runner from the card (horse number 6) without any explanation. The horse ran and should not have been scratched, says the player. SBR Betpoints: What are they and how to get them? Since 1999, Sportsbook Review has received complaints from bettors. Sportsbook and casino players, racebook bettors, even poker users write in occasionally; an increasing number of complaints are now submitted on issues involving what's called the Know Your Customer (KYC) procedure. The KYC process is required to confirm the validity of an account. It is much akin to making a purchase with a credit card at the local convenience store and being required to show the worker a form of government issued ID. A public library card just won't cut (or pay for) the mustard. Aside from complying with gaming regulators and commission bodies, as well as their own internal terms and conditions, online betting sites confirm the identity of players for the players' own protection. If your credit card was hit with thousands of dollars in charges overnight, would you hope that the business in question required ID before completing a transaction? What documents do I need to show? If you're depositing by credit card, eWallet, or any other current cashier option, you can safely assume that you will have to show photo ID. This can be a driver's license or passport, or another form of state or government issued ID. If you just turned of age and do not yet have such an ID, do not even bother depositing until you do or you will be in for a headache come withdrawal time. In fact, if you do not have a photo ID at all, stop reading this article and come back when you do. In addition to producing an acceptable form of photo ID, you may be asked to show a utility bill in your name to satisfy address verification. Some online sportsbooks will even send a unique code via mail that will serve to confirm the authenticity of the physical address provided. A bank account statement may need to be provided. The front and back of a credit or debit card may need to be shown. Keep a local copy of your scanned photo ID on your computer or a USB flash drive. Do the same for a credit or debit card you may use to deposit. Utility bills often must be dated within three months or earlier to be accepted, so unless you intend to open a number of accounts simultaneously, you may not need a local copy of a bill for immediate access. Once your documents are ready to be transmitted to the sportsbook, it is a good practice to immediately provide your documents after depositing for the first time. This will save unnecessary delays and avoid waiting games when you work up a balance and realize you have to send this and that in order to get paid. Make sure your documents are legible and of high quality. Saving as a PNG immediately after a scan should ensure the quality of the file is preserved. Online sportsbook Mybookie.ag has not yet been rated by SBR but a representative for the sportsbook has confirmed basic company information in response to an SBR inquiry. 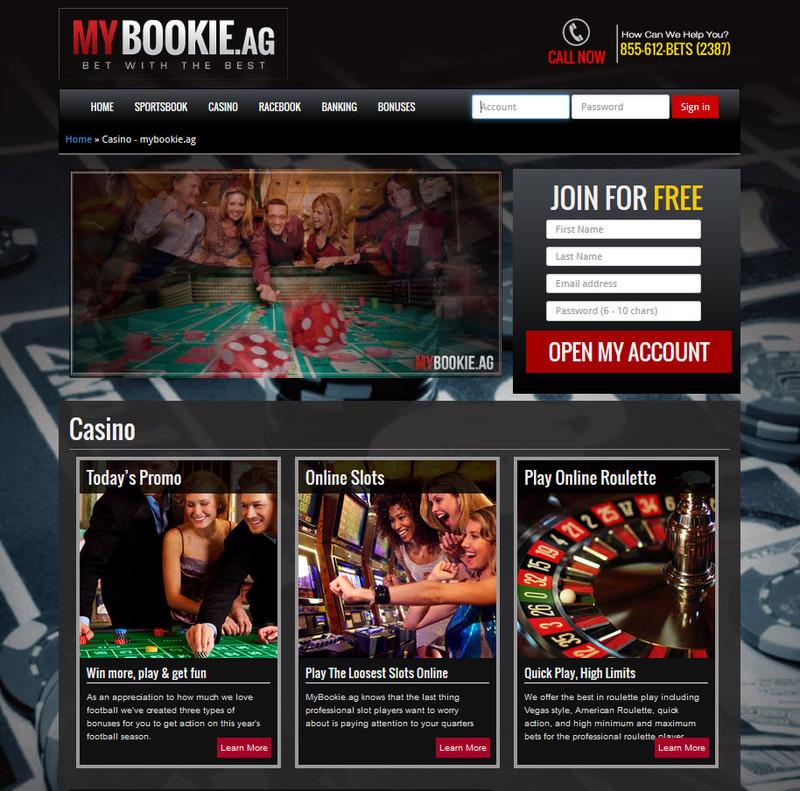 Mybookie is a new online sportsbook which accepted its first sport bet on August 1, 2014. The company claims to have a base of managers with prior industry experience; an assertion also made in a marketing mailer received by at least one SBR reader. There are reportedly thirty employees in customer service. A player was told that the sportsbook was run by some of the former managers of defunct sportsbook BetOnSports. The sportsbook's website servers are hosted in Canada, while the company itself is located in San Jose, Costa Rica. The business and marketing are managed out of the Costa Rica office. SBR is in the process of confirming if Mybookie shares office space with another shop or has a standalone facility. As of this time, Mybookie only offer a small handful of cashier options including bank transfer, credit card and person-to-person methods. The lack of an eWallet option and a global facing wagering cart may discourage international business. A company representative advised SBR that the maximum weekly payout is $800 through P2P and $5000 via bank transfer. The sportsbook offers live chat, support via telephone, email, and an online web form.